Neilson Barnard/GettyBeef demand is soaring. 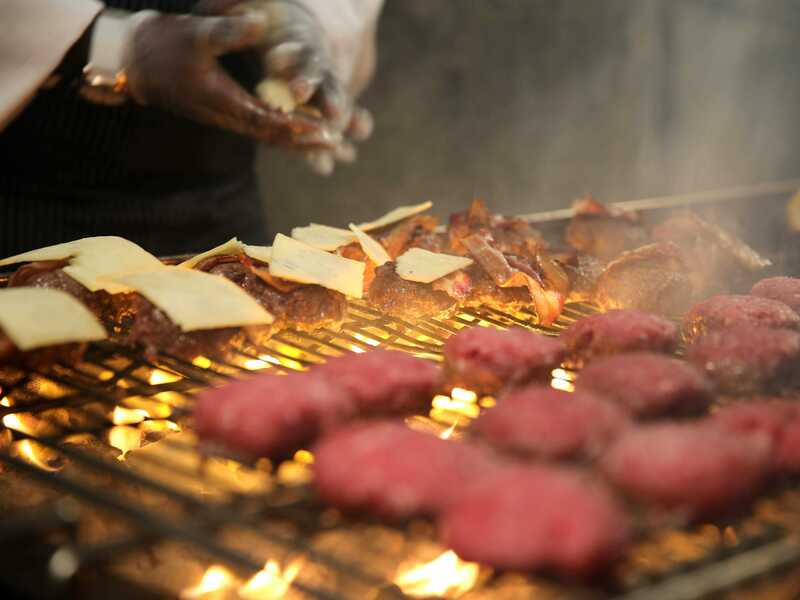 Meat lovers want more beef than cattle farmers can produce. Last week, live-cattle futures at the Chicago Mercantile Exchange hit an all-time high of $US1.705 a pound. 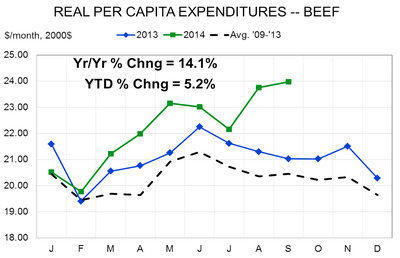 And this year, real per capita expenditure for beef — a measure of demand — is up 5.2% from a year ago, and 9.1% more than any of the last five years, according to Steve Meyer, president of Paragon Economics. When futures prices increase, consumers feel the pinch a lot more than when they go down, Meyer said. “If you want beef, you’re going to continue to pay these kinds of high prices,” Meyer told Business Insider. This chart shows how demand in 2014 has surged above previous years on a constant dollar basis. Consumption of the four major meats — beef, pork, chicken and turkey — is up 8% from last year. The supply side of the equation tells another story that is not great news for meat lovers. Cow herds fell in 2011 because of droughts that hit Texas and Oklahoma, which account for over 25% of all US beef production. The weather is much more favourable now, but Meyer said farmers are undergoing a lengthy cattle replacement process, which involves taking female cows out of the beef supply to breed, thereby reducing supply available to grocery stores. It takes about two years to get any beef from heifers that are retained, Meyer said, and the process just really kicked in this year. 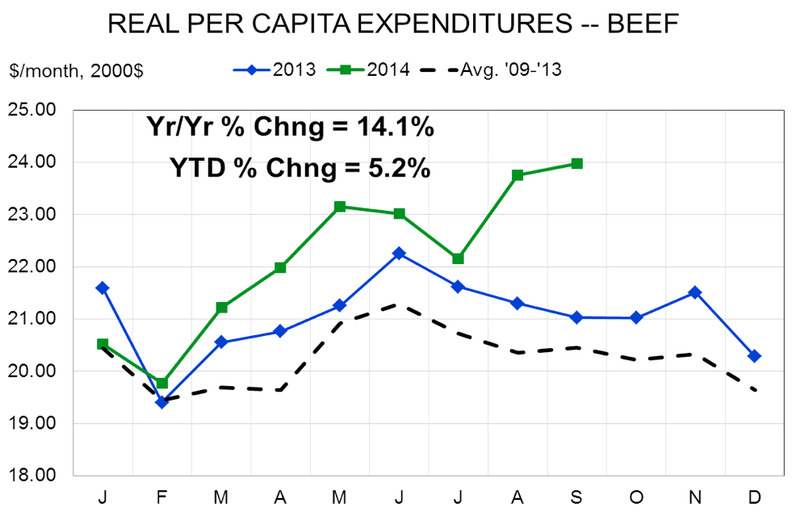 So with tight supply and soaring demand, expect higher beef prices to persist over the next several months.